On Friday, Comptroller of the Currency Thomas Curry announced that the OCC will issue limited‑purpose bank charters to qualified fintech companies. The OCC based its decision on the agency’s conclusion that applying a bank regulatory framework to fintech companies will (1) benefit customers, businesses, and communities and will help ensure that these companies operate in a safe and sound manner; (2) result in the OCC’s uniform supervision of these companies, promoting consistency in the application of laws and ensuring that consumers are treated fairly; and (3) make the federal banking system stronger by including fintech companies. The OCC also issued a white paper titled Exploring Special Purpose National Bank Charters for Fintech Companies detailing many issues that must be resolved by the OCC before it will grant a limited-purpose charter. The white paper is not a proposed rule requesting response to substantive proposals by the OCC; rather, it is a request for information from the industry and the public to help the agency formulate proposed rules. This is another step in the direction of identifying the requirements that will be applied by the OCC to a fintech company seeking a national bank charter; it points out agency concerns, but not how these concerns will be resolved. The OCC included thirteen specific questions in the white paper and requests responses to be provided by January 15, 2017. 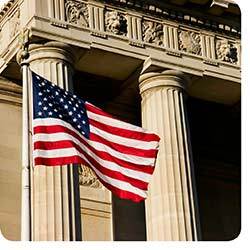 What are the public policy benefits of approving fintech companies under a national bank charter? What are the risks? Should the OCC seek a financial inclusion commitment from an uninsured special purpose national bank that would not engage in lending and, if so, how could such a bank demonstrate a commitment to financial inclusion? Should the OCC use its chartering authority as an opportunity to address the gaps in protections afforded individuals versus small business borrowers and, if so, how? What are the potential challenges in executing or adapting a fintech business model to meet regulatory expectations, and what specific conditions governing the activities of special purpose national banks should the OCC consider? What actions should the OCC take to ensure that special purpose national banks operate in a safe and sound manner and in the public interest? Would a fintech special purpose national bank have any competitive advantages over full-service banks that the OCC should address? Are there risks to full-service banks from fintech companies that do not have bank charters? In addition to providing an opportunity to respond to the OCC’s questions, the white paper is an important tool for fintech companies considering a national bank charter. While a national bank charter may presumably provide opportunities to utilize federal preemption and eliminate the necessity of obtaining state licenses, the white paper also describes the general requirements that apply to national banks that will apply to fintech companies, in some form yet to be decided by the OCC, if they become chartered. The requirements include corporate organization and governance structure, compliance risk management, limits on bank activities, limits on real estate holdings, legal lending limits, BSA/AML requirements, UDAAP requirements, requirement to meet the credit needs of its entire community, requirement to become a member of the Federal Reserve including a minimum Federal Reserve Bank stock subscription, potential application of the Bank Holding Company Act (and the potential implications of parent companies being a bank holding company and restrictions affecting transactions with affiliates), FDIC deposit insurance if engaged in receiving deposits, minimum capital requirements including consideration of off-balance sheet activities, and liquidity requirements. The white paper also informs fintech companies of aspects of the four-stage chartering process and requirements that may apply when a charter is granted, such as the necessity of an operating agreement with the OCC, including substantive charter restrictions that may apply. Early reaction has been mixed and based primarily on the interest of the entity commenting. Some praise the initiative as forward looking. Some speculate that this may result in decreased use of the bank partnership model that exists for marketplace lenders. The Conference of State Bank Supervisors and the Independent Community Bankers of America have issued releases strongly opposing the charter. What is clear is that at this point there are lots of unknowns. The OCC’s final position on issues relating to preemption, capital requirements and the OCC’s emphasis on financial inclusion among others will ultimately determine the attractiveness of this charter. Timing is also a consideration. Even if the proposal moves forward, it will be some time before the OCC is in a position to grant this type of limited purpose charter. We encourage fintech companies to become familiar with the requirements outlined by the OCC in the white paper and for them and other financial institutions involved or interested in this topic, to take the requirements into consideration and to provide feedback on the questions raised by the OCC.